This Minion craft post originally appeared as part of the Crafty Camping Weekend post, but it has become so popular it now has a post of its very own. Yay! 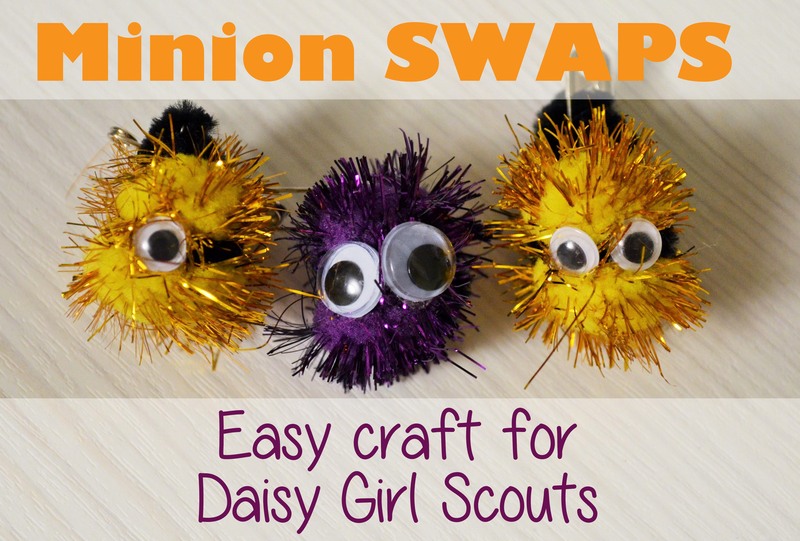 If you read the other post, you’d know that I took my 6-year-old Daisy Girl Scouts camping a few years back and we made a ton of SWAPS. We were crafting for hours! Because we were going to be making multiple crafts, they each needed to be simple. This minion craft is definitely simple. You never know when you’ll need a minion craft, so you better just pin this one right now.